Autofocus Yes. Focal Length 20mm. 2018 Best Partner Award. Image Stabilization No. In case of below conditions. In case of below conditon. Minimum Focus Distance 7.87" (20 cm). - Pancake Design. Create striking professional images and effects with the Sony SEL 20mm f/2.8 AF lens. With this Sony product, you take in the scope of images with ease and clarity. This Alpha E-mount wide-angle lens allows for a large viewing field. This versatile Sony lens features a 20mm focal length and adapts to a variety of applications and shooting circumstances. The maximum aperture of f/2.8 works well in low-light situations and has an efficient internal stepping motor that runs smoothly. This helps you to record video that contains only the sound you want by eliminating motor noise. Increased audio clarity is the result.This Sony lens has an aluminum alloy barrel that fits into a plastic sheath to prevent damage to the lens. The barrel itself is lightweight. This helps to deter any potential strain during longer photo sessions that you take part in. The material is sturdy enough to hold up to the rigors of everyday use. This 20mm lens produces clear, high-contrast images due to technology that corrects distortions and abnormalities for each shot. This model features a direct manual focus and autofocus setting that ensures precise focusing for each shot. Easily mount this professional lens on your favorite DSLR camera to produce the effects that you want quickly.This 20mm prime lens has an aperture range of f/2.8-16 and the equivalent of a 30mm to 35mm format. 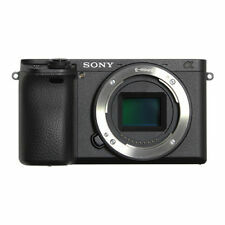 It is made to fit Sony NEX line of APS-C sized mirrorless cameras to create wide-angle shots. It captures shots in any type of light from bright to low light conditions. This lens has depth of field imaging that consists of three aspherical elements to help produce the best image quality. The effective direct manual focus allows for precise focus anytime. This allows you to control the shot when you film to produce clear photos and videos.Get pleasing wide-angle and full-frame shots or even use accessories like a filter for the best effect. This f/2 lens has a sensitive sensor made to meet specifications for any type of DSLR cameras that you want. Its lightweight, yet durable compact construction works with any NEX system cameras that you may want to experiment with. Attach this Sony lens to your camera to get high resolution and contrast even within the periphery of the frame. This Sony product features seven blades that create an aesthetically pleasing defocused circular effect, or bokeh, in the background. These Sony pancake lenses create images with a 49mm filter diameter and 7.8-inch focal distance. The lens is designed to clear up distortion to produce the clearest results. In fact, this Sony product has mechanisms to prevent any unwanted vignetting. It operates particularly smoothly with graduated and polarizing filters. Its petite size, light weight, and portability mean you easily tuck it in your photography bag and capture stunning images wherever you go. The Sony 20mm lens allows your camera to take photos at a quality level you appreciate. It is exactly as advertised: small, light, efficient with AF... Not the sharpest lens on the market but for its value it holds up as expected. I'm very satisfied with it as it is a very versatile focal length and I do use the Clear Image Zoom on my a6500. I have been using the 20mm for travel and dance photography/videography. I upgraded to this lens from the Sony 16mm f2.8 and am much more confident now with the image quality (less distortion, chromatic aberration, blurry edges...), would recommend the 20mm for those of you deciding between the two! extremely portable - perfect fit for all sony - e-mount cameras, FULL FRame and aps. i use it on A7RII with aps-c mode turned off. This way i get approximately 22-24mm equivalent field of view , after cropping the dark corners or using "Clear image zoom" set to 1.2. i can get an equivalent of 1:2 landscape panorama using full frame 20mm view. (cropping top and bottom). Versatility of clear image zoom on a7rII is incredible if i set it to max = 2.0 ration i get a standard / wide 40mm view with this lens with NO noticeable loss of sharpness, excellent for 16x20 print!! super light weight for backpacking and travel. Hood NOT needed, virtually no flare or ghosts without hood. OEM hood makes no difference,, thus can be avoided to maximize portability. I'm no expert, but this lens is sharp enough for its size. It's very very compact, making my a6000 literally pocketable. Focus speed is also good to my eyes. I've only used it once so far but I love it! Used the lens at dusk/late evening. ;The photos are fabulous. It captured so much light. The photos are vibrant and clear. Great photo quality. It's light weight, compact. Great LITTLE lens, excellent value. If you like primes in this focal length (30mm equivalent) you'll love this one.